This variation is dubious for Black to say the least. I think the move 5...Nxd5? is downright bad for Black as White wins a lot of games with this variation, far more than he wins in other opening lines. White is going to sacrifice a knight at f7. This pulls the black king into the center where he is exposed to all sorts of attacks. Usually no black player is going to survive this strong center attack. 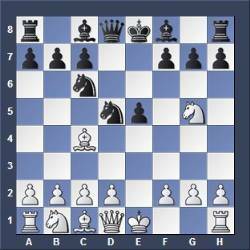 1.e4 e5 2.Nf3 Nc6 3.Bc4 Nf6 4.Ng5 d5 5.exd Nxd5?